When it comes to skincare, coconut oil is a true multitasker. You can use it as makeup remover, body lotion, leave-in conditioner, massage oil—the list goes on. It also makes an excellent base for herbal infusions. Here’s how to make two infusions: lavender and cardamom-vanilla. I bought my herbs from Mountain Rose Herbs, which sells pretty much every bulk herb and spice imaginable. This recipe is based on their DIY herbal salve tutorial. Slice the vanilla bean open and scrape the seeds into a heat-safe dish. Using a rolling pin or mortar and pestle, crush the cardamom until you’ve broken most of the seeds, then put it in the dish with the vanilla. Place the lavender in another heat-safe dish. 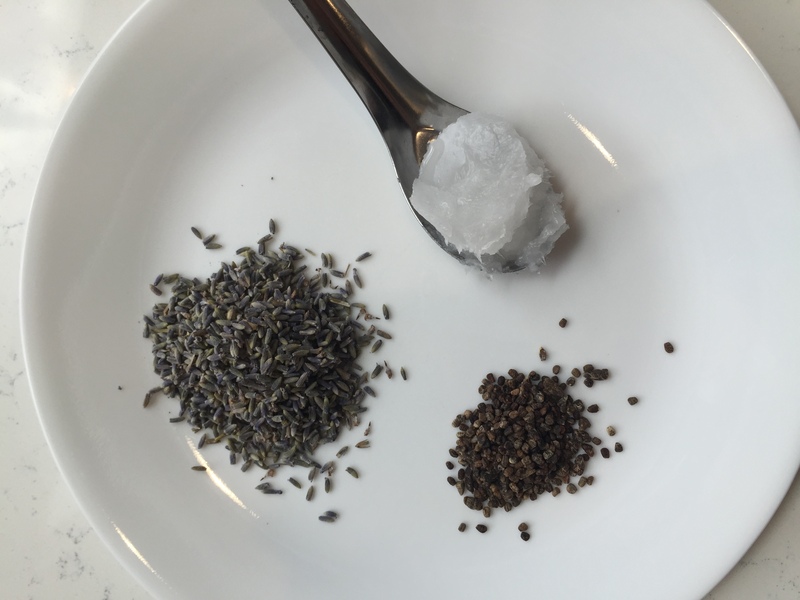 Microwave your coconut oil until melted, then divide between your lavender dish and your cardamom dish. Place each dish in a water-filled saucepan on the stove and turn the stove on very low heat. You want to warm your oil without cooking the herbs—try to keep the temperature between 100 and 140 degrees Fahrenheit, and stir occasionally. It can take up to five hours for the herbs to take on the color and aroma of the herbs. When ready, use a cheesecloth to strain the oils into your jars. The best thing about this recipe is that the possibilities are endless—you can experiment with different kinds of oils and herbs until you find a combination you like. These oils will keep for about a year when stored in a cool, dark place.